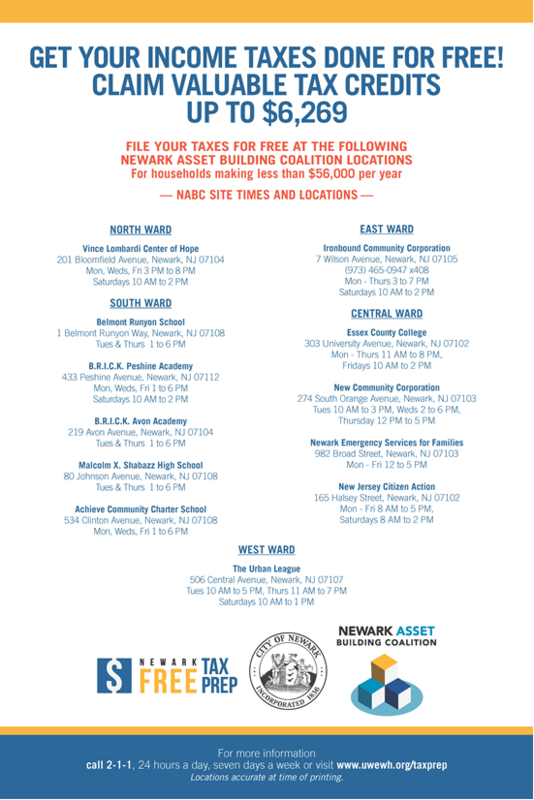 The city of Newark launches it’s Volunteer Income Tax Assistance program. WBGO’s Ang Santos with more. Officials say the program found roughly $13 million in total refunds for residents in 2018. A coalition of Newark businesses affiliated with the free tax prep services are launching an initiative that helps residents gain access to banking services. In addition to the tax prep services, the program is offering city students help with filling out Free Application for Federal Student Aid (FAFSA) forms for college.